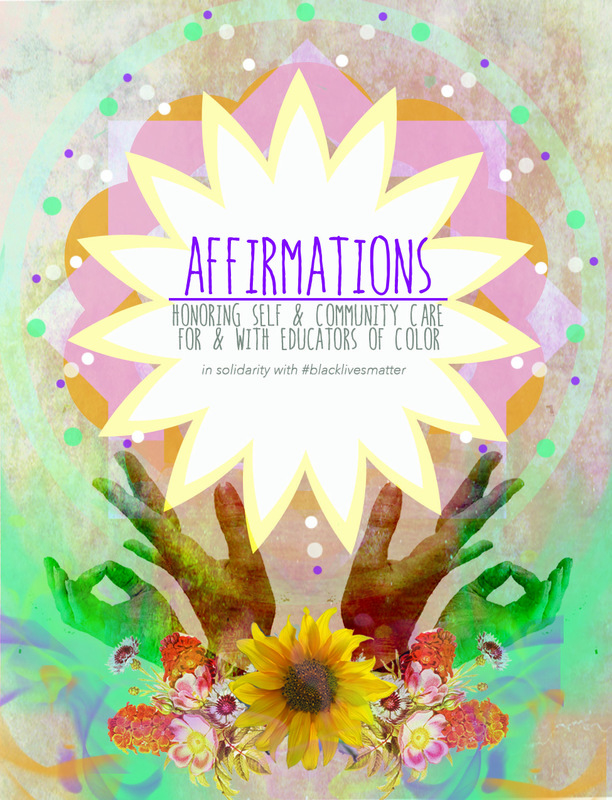 Affirmations: Honoring Self & Community Care for and with Educators of Color! Did I also mention I am PERFORMING! I invite you to affirm your greatness, your purpose, your beauty, your healing. Affirm YOU! Growing into 2015, I affirmed to re-emerge as Artist. This year I have been working on projects outside of my classroom walls. Event details are below, share, invite and hope to see you there! As educators of color we are often expected to take the lead–or asked to remained silent–on difficult conversations about race, and other aspects of our identities. At our respective institutions this role can often be both a necessary responsibility as well as a burden. Particularly in an age of contentious debate and protest over the heighten visibility of the police state and its affects on black lives and ongoing marches and protests calling for racial justice, the need to re-center race, self and community care and healing are crucial and imperative. AFFIRMATIONS emerged out of NYCoRE’s Inquiry to Action Group (ItAG) #BeyondtheMarches: Living, Teaching and Organizing through the Intersections, and our collective desire to support #blacklivesmatter movement building. 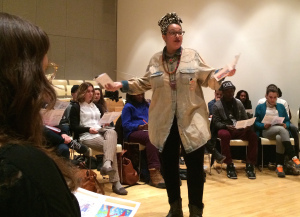 Through performances, sharing heart stories, songs, dances and herbal teas AFFIRMATIONS intention is to honor, explore, lift up and affirm self and community care by and for educators of color. The hope is that we all can build a pedagogical practice that is courageous and also sustainable. All donations and proceeds from the door will go to healers and organizers in the #blacklivesmatter movement building. Because of the donation ticket structure for this show, multiple tickets must be purchased in separate transactions. We’re sorry for any inconvenience this might cause; it’s a limitation of this website. No one will be turned away for lack of funds.